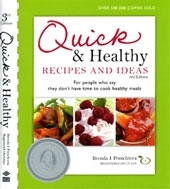 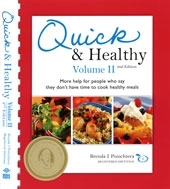 Welcome to Quick & Healthy Cooking by Brenda J. Ponichtera! 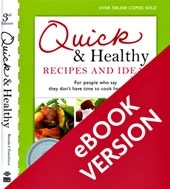 Find out about my time-saving cookbooks and get sample recipes and grocery lists. 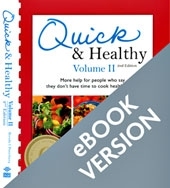 Click on one of the topics to get more information.